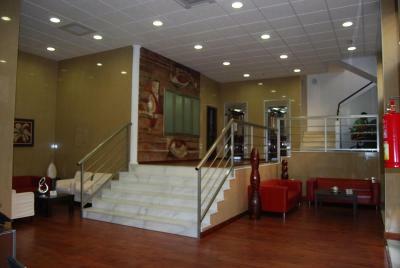 Good location only two minutes from the Plaza de España (bus from/to border). Good views from fifth-floor breakfast/dining room. 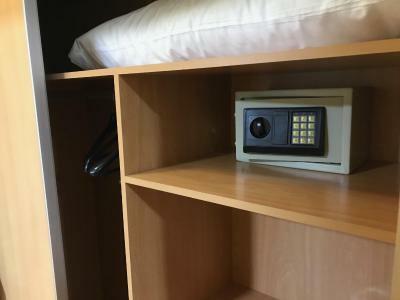 Room safe. 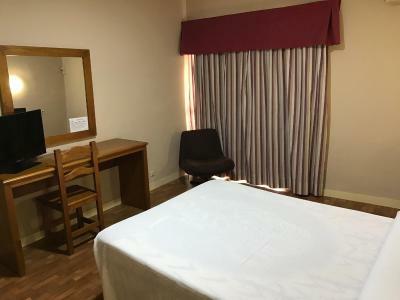 The cleaning ladies, they were great, they came in everyday, changed the towels, cleaned the room, changed the bedlinen, spoke a little English.The men at the restaurant were very friendly. The woman at the reception did her best to communicate. 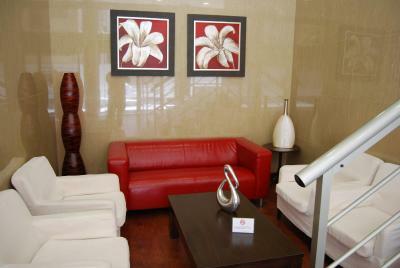 Friendly staff and close to all important locations. The views of the rooms were too good, with views to the old city and the bay. 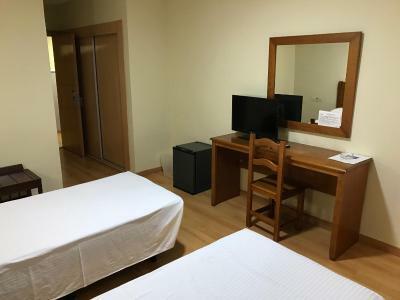 The surrounding of the hotel are very good also, you have the Four Cultures Square with has a variety of bars, shops and markets for food, water, snacks. 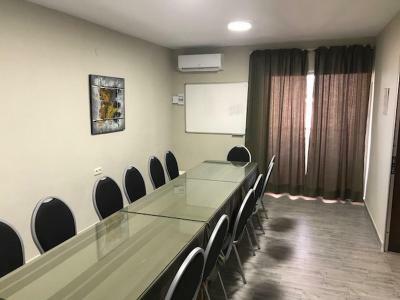 Great location right in the city center. The house-keeping good, rooms are OK.
Clean & good food. 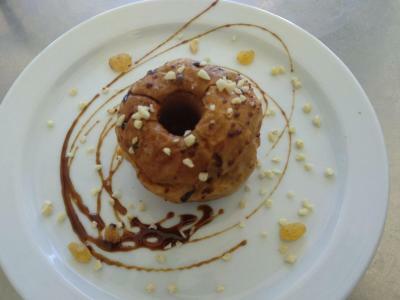 Staff in the restaurant for breakfast & dinner were extremely helpful & friendly. Good location for looking around the city. Found a lovely city beach just minutes away. 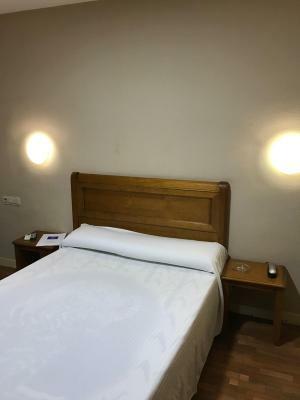 location - clean - price was ok 45 euro for a single room in july 2018 not bad - air con was good. Low cost hotel very central. Clean but dated. As a last minute offer it's great value for money. 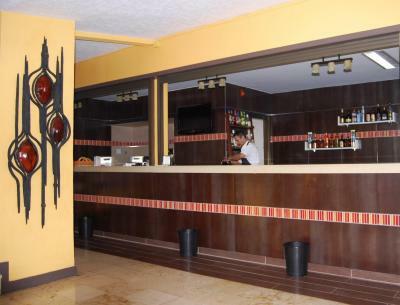 The location of this hotel is simply fantastic; moreover it was very clean and the beds are confortable. 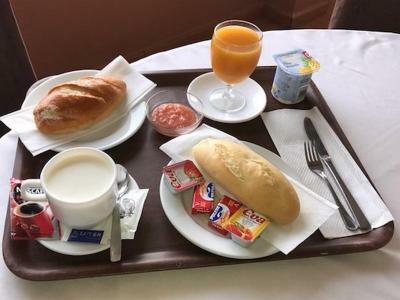 The breakfast was also included, it was the "continental" one and it included bread, butter, marmelade, orange juice, coffe/tea, and a piece of bakery. The breakfast room has a very nice view of the port. There is also a little gym open the whole day. 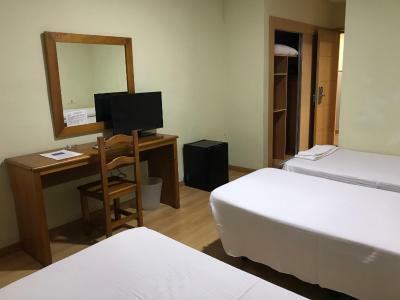 Hotel Anfora This rating is a reflection of how the property compares to the industry standard when it comes to price, facilities and services available. It's based on a self-evaluation by the property. Use this rating to help choose your stay! Hotel Anfora is located in the center of Melilla, with free Wi-Fi throughout and city views. It is a short walk from the marina and the old town. The Anfora has a bright cafe on the top floor. 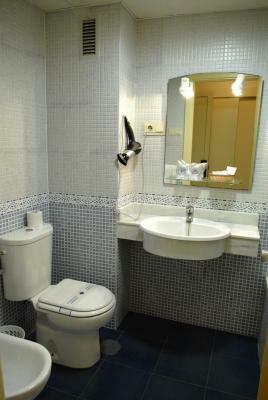 This offers views over the old town, the Port and the Plaza de las Cinco Culturas. 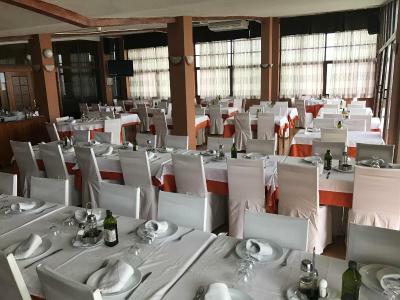 The main restaurant has a large terrace and serves Mediterranean, Andalusian and Moroccan-style meals and a continental breakfast consisting of a hot drink, fruit juice, toasts and a yogurt. There are many fish specials. 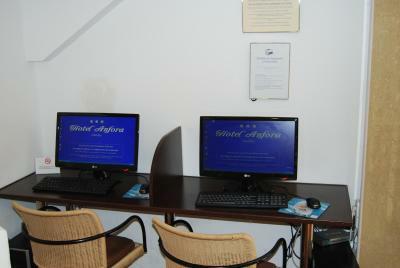 The hotel also features a gym, a meeting room and a 2 computers with internet access in the lobby area free of charge. Rooms at Hotel Anfora all come with a private balcony. 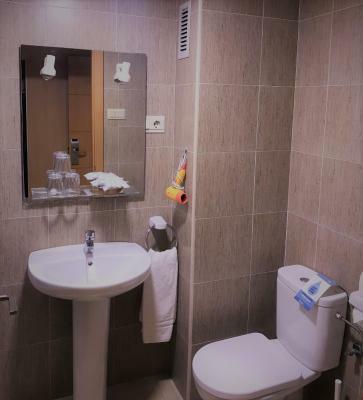 They are spacious and well-equipped, and include a work desk. 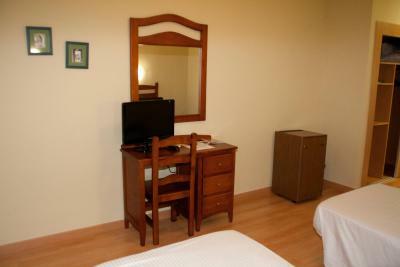 Rooms have full heating and air conditioning. 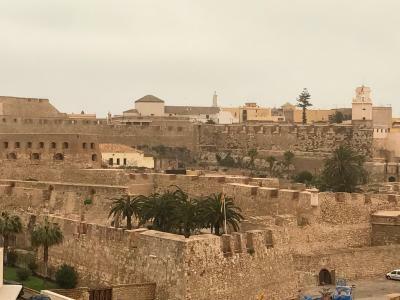 It is a 5-minute walk to Melilla’s Modernist route. This includes many buildings by Enrique Nieto, a disciple of Gaudí. The Main Synagogue, the Central Mosque and the Hindu Temple are also within walking distance. 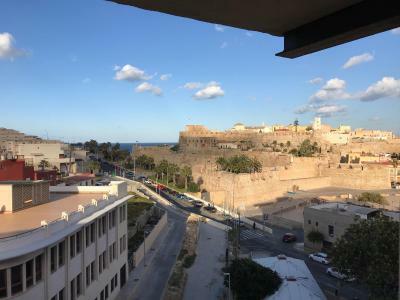 This property is also rated for the best value in Melilla! Guests are getting more for their money when compared to other properties in this city. 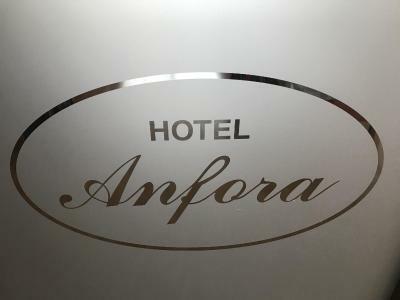 When would you like to stay at Hotel Anfora? 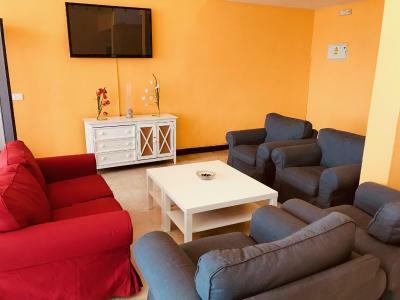 These air-conditioned rooms have a TV, mini-bar and a private bathroom. They also have a balcony. 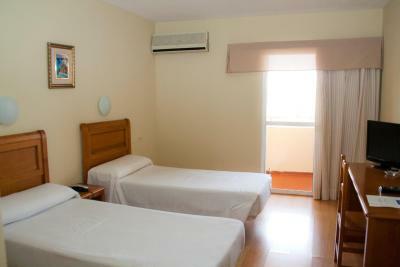 These air-conditioned rooms have 2 single beds, a TV, mini-bar and a private bathroom. 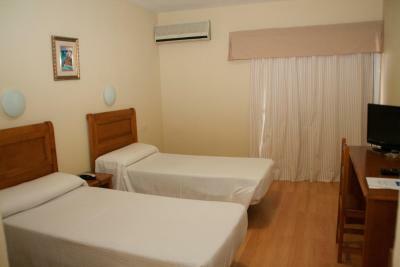 These air-conditioned rooms have 3 single beds, a TV, mini-bar and a private bathroom. House Rules Hotel Anfora takes special requests – add in the next step! 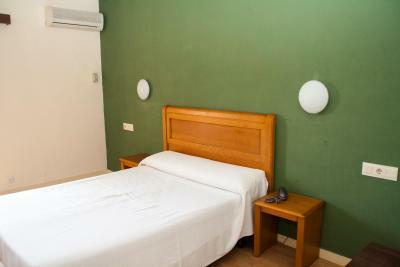 One older child or adult is charged EUR 15.30 per person per night in an extra bed. 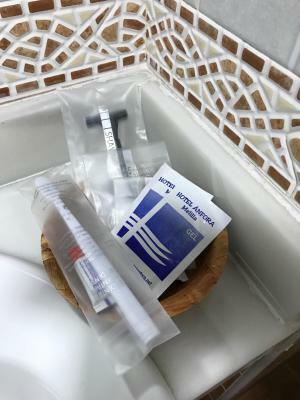 Hotel Anfora accepts these cards and reserves the right to temporarily hold an amount prior to arrival. Please note that the hotel does not accept American Express either as a guarantee or form of payment. Breakfast was adequate but uninspiring. 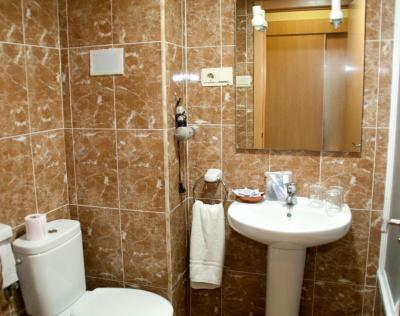 Good selection of toiletries in bathroom but poor-quality shampoo. The older man at the reception was totally unwilling to communicate, I just do not understand why the management gave him a job at the desk, the hotel is a few km from Marocco, you can expect someone to speak a little French, English or German. 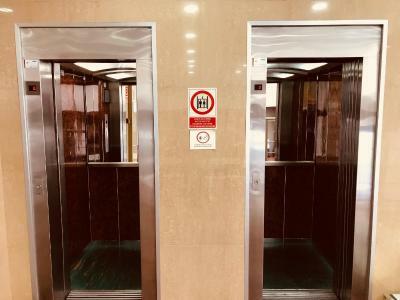 The management should give this job to one of the cleaning ladies, as they were service minded and did their utmost to communicate and made my feel a lot more welcome than the Reception man. Need to speak Spanish to order breakfast!! For breakfast (very light and not so good continental style) you have to wait in a line like at school canteen (very strange for a 3* hotel). The lady preparing it is very nice and understands french. Breakfast finishes at 10.00 and is very very basic. Would be better to charge for an OK breakfast then include the most basic one I ever seen. Why not employ more staff that can speak english? A lick of paint and some TLC and you can up your rates 25%. I would have preferred the orange juice included in the breakfast to be natural. 75 euros for one night is too much for this hotel, 50-55 euros would be fair. Beds too small. You had to queue up in a line, to get your breakfast, it reminded me of being in the army, breakfast is very very basic, cold toast, weak just about warm coffee and cheap juice from a carton, that was all thrown at you... If you paid more money you could get a " Breakfast" ha ha crazy! Really hard to park, as it is right in the town centre. The hotel is Ok, as long as you are happy with Basic. 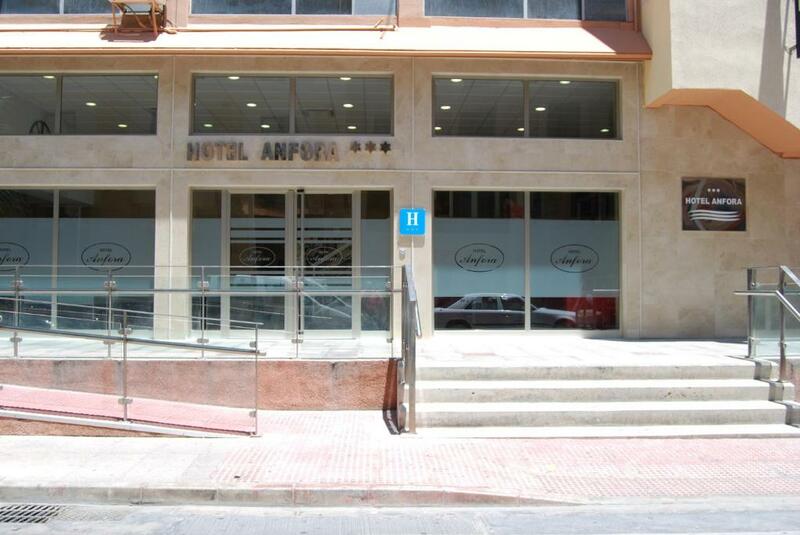 Also be aware, the Army, Police and Security forces use this hotel as an overflow for troops, so full of Uniforms who work protecting the border between Morocco and Melilla ( Europe) - Parador and Rusadir are much better hotels. In the Centre of Melilla - right in the heart! Room was clean, TV was OK, - Good shower, lots of warm water. We were only there 1 night, so it was ok.